These guys were in charge for supplying power for this years Prepper Camp 2015 in Saluda NC. 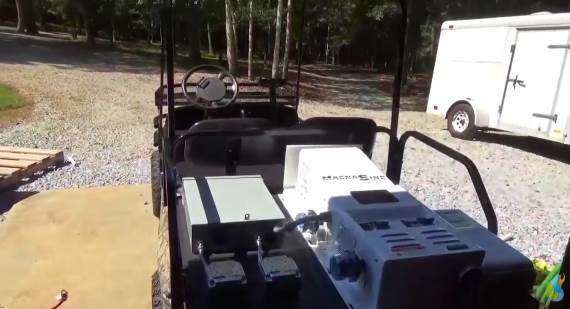 This was at a campground that had loads of 48v golf carts and the guys thought they would make a portable power plant with a golf cart. The builders used a Magnum 4448PAE and 1800 watts of solar and also used the battery bank from the golf cart. They gave a great design of what you can do with solar and allowed people to see how solar works. They also brought out the new Magnum Power Track charge controller that can accept 6000 watts of solar power input. Solar Panels and Controllers For Preppers Here.